Goo-oood evening everybody! 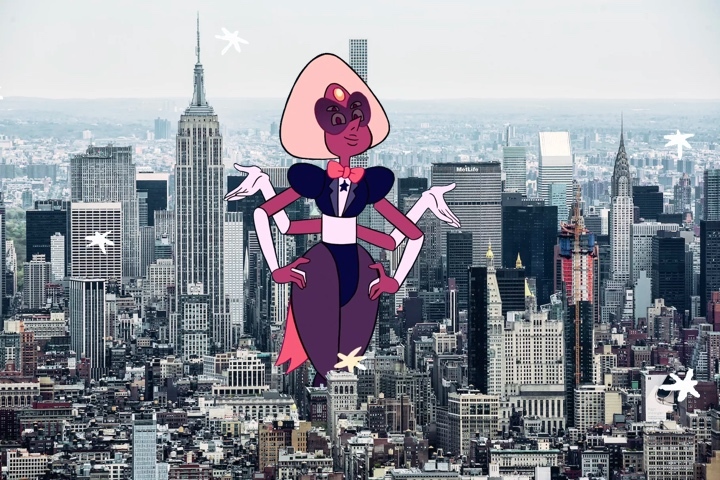 I am the lovely and talented Sardonyx, coming to you live from somewhere in downtown Empire City. Ohh look at the crowd I've gathered! Hello down there! You're in for quite the show! Now I'm sure some of you out there wondering, "Sards, what's going on with your height? Are you cracked?" And no, don't worry, my gems are flawless as ever. You see, ladies and gems, just this morning the circus came to my hometown of lovely Beach City, and we took our darling boy Steven out to see it. But what do we see upon our arrival? Giant banners proclaiming it to be "The Greatest Show On Earth!" Well! I mean I had to wonder what they meant by "Greatest," you know? If they mean "best," you and I both know that's not true. Sure, they may have trained elephants, and humans that are surprisingly adept at throwing things, but how can any of that compare against a few hours of light entertainment from yours truly? Call me biased, but I think we have a clear winner here. But anyway to cut a long story short, I decided that I would not let P.T. Barnum outdo your favorite gem and mine. So I've harnessed all of my considerable and amazing talent to grow fifty feet! That's right, folks! 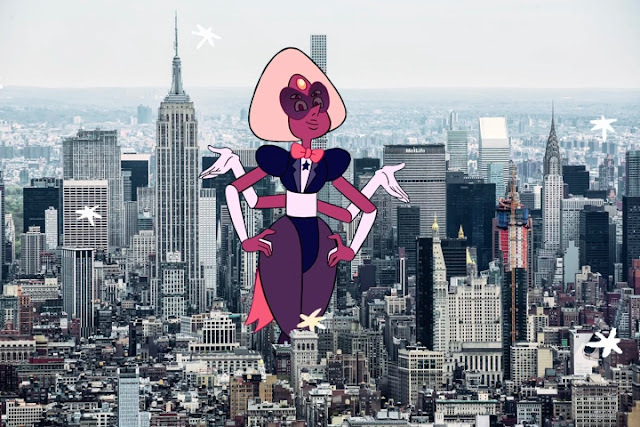 Prepare yourself for The largest, most immense, and absolute greatest show this side of the Crab Nebula, because Sardonyx shall grace your television screens again tonight! That's right! Be sure to tune in to Cartoon Network at 7:30 PM ET/PT for a special all-new, all-live Sardonyx Tonight. Now it's really exhausting to hold my form at this size (you older gems know how that is) so we'll only be running for 15 minutes. But it's going to be a great show! You don't want to miss this superstar!